Beautiful and tranquil, this high quality Giclee Art Print is a wonderful unique gift for your girlfriend, sister, mother or grandmother! Charming wall art decor for bedroom, dining room or kitchen! 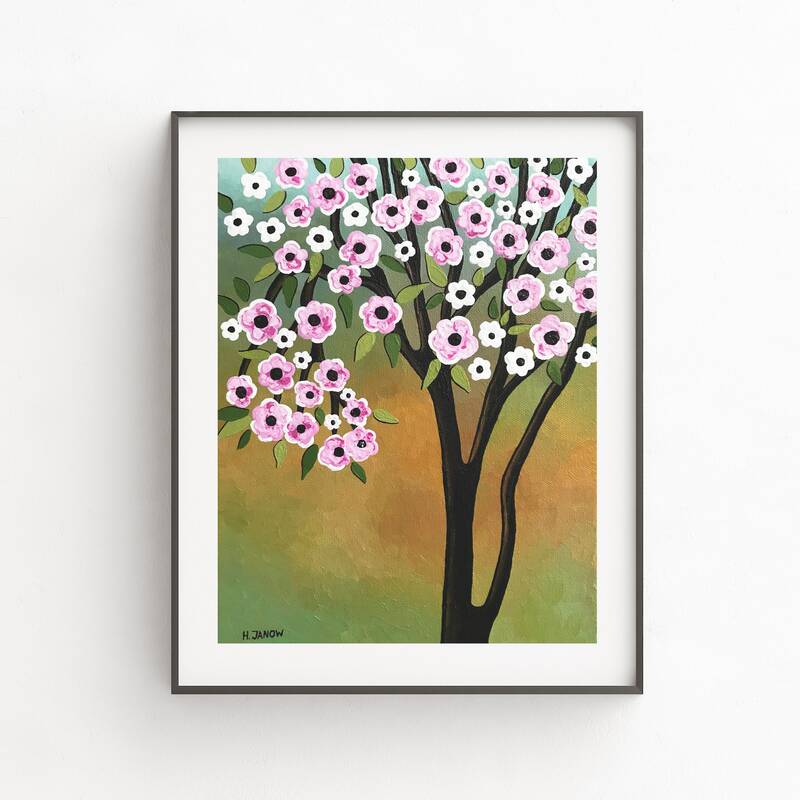 “Spring Flowers” art print is a reproduction from my sold original painting. This giclee flower art print is reproduced using Epson's archival ultrachrome pigmented inks (inks guaranteed not to fade for at least 100+ years under glass) on a museum quality, acid-free, 100% cotton rag, archival, bright white Velvet Fine Art Paper. The print is long lasting, smudge resistant and fade resistant! *Prints only. Prints do not come with any frames or mats. © Copyright 2019. Helen Janow Miqueo. All rights reserved.